Many employees prefer to use their own mobile devices in the workplace. On the surface, it sounds too good to be true: If your new hire comes equipped with her own laptop, smart phone, and iPad, that’s two grand you don’t have to spend. Unfortunately, Bring Your Own Device policies also bring significant data security and privacy concerns, which have important legal implications and add to your liability risk. 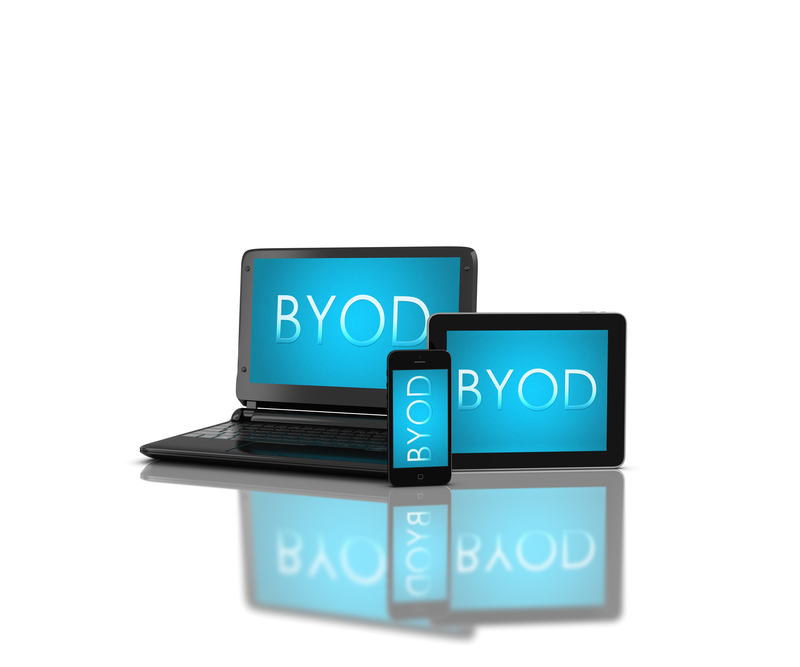 Think of how your IT people handle company-owned devices. They choose who manufactures it. They enforce minimum system requirements. They configure it to work reliably. They install security software. They encrypt company data. They apply security patches. They monitor to make sure it isn’t being used inappropriately or illegally. They install business-grade anti-virus software. And, when needed, they can access the device as part of an investigation. How many of these best practices do you give up when the device in question belongs, not to the company, but to Phil from Accounting? They can use their devices, but your way. Guaranteed Networks–Secure bolsters your network security by denying or restricting the availability of network resources to endpoint devices that do not comply with your security policy. Our approach to Network Access Control . . . Establishes a security perimeter around every device that connects to the network. Enforces who, what, when, where and how users access your environment. Ensures the integrity of every device that connects - even those that do not belong to you. At last, true BYOD security. Contact us today, and our security experts will walk you through securing access to your environment. Or call us at 800-SLPower(s).